The dream of the '90s is alive in Galway. Bold move. We’ll let you know if/when the campaign returns. John Romero and Adrian Carmack promised an unveiling for April 25 and an unveiling is what we’ve got. 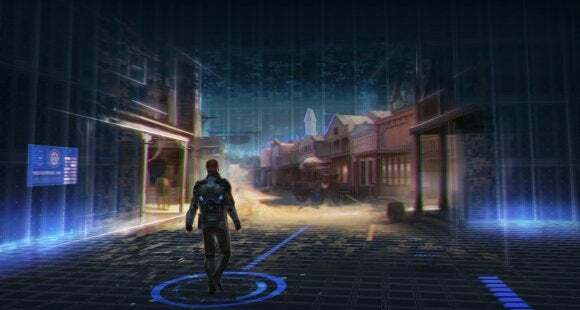 The two id Software alumni are returning after a long hiatus to their first-person shooter roots for Blackroom...provided, of course, that we make it through the requisite Kickstarter campaign. That breadth and flexibility of setting could be fascinating, if done right—like an extended dream sequence. But I expect more people will be roped in by the implications of a Romero/Carmack pairing. You can’t throw around the names of two id Software cofounders without certain implications, and Blackroom isn’t shy about the fact it wants to resurrect 1990s-style shooters. “Strafe jumping,” “circle strafing,” “rocket jumping,” and “fully moddable” are all mentioned in the Kickstarter description. This is a fast-paced game for people who miss gibs and wailing guitar solos and big guns. Or people who hated the recent Doom multiplayer beta, I guess. As for the actual crowdfunding campaign, there’s the usual slate of rewards and unlockables. Romero and Carmack are looking to raise $700,000, with the game set for a Winter 2018 release. The campaign ends May 27.